West Cramlington Waggonway - Suscram. 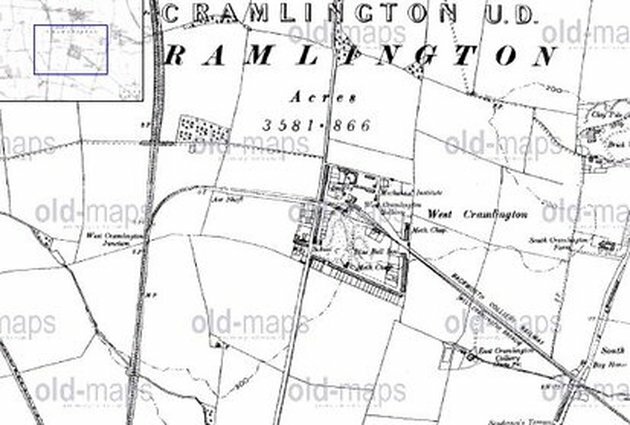 The West Cramlington Wagonway is shown on the 1865 Ordnance Survey Map. By 1899 the 2nd edition shows it as Backworth Colliery Railway (West Cramlington Branch), serving the Backworth Collieries. It joins the Backworth Wagonway at NZ 3045 7164. It opened in 1838 but was shown to be dismantled by the time the 1920 O.S. map had been published. By this time the West Cramlington Colliery had been bought by the Cramlington Colliery and was linked by a wagonway to Anne pit and connected to the Cramlington Wagonway.